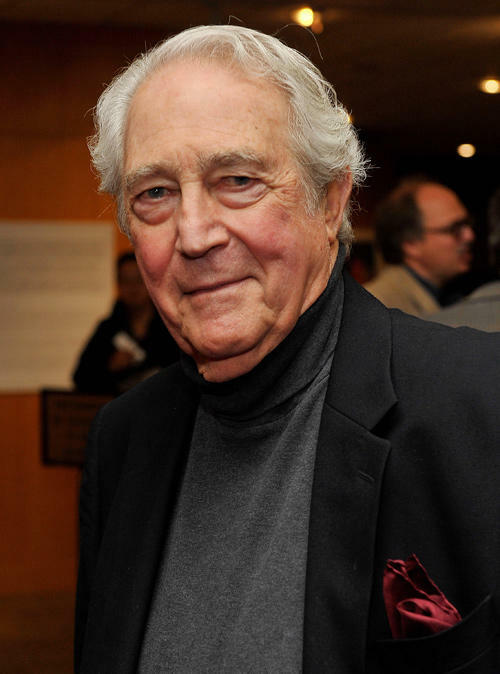 Actor James Karen, one of Buster and Eleanor Keaton’s dearest friends, died at his home in Los Angeles on Tuesday, Oct. 23. He was 94 years old. A longtime supporter of the International Buster Keaton Society, Karen and his wife, producer Alba Francesca, attended several Buster Keaton conventions in Muskegon, Michigan, as well as a special Keaton Society event in 2001 held at Buster Keaton’s 1920s mansion, the Italian Villa. One of the first eight members of the International Buster Keaton Society (the Damfinos), Karen was the recipient of the 2001 Buster Award. Jim Karen’s wildly prolific career spanned more than 200 films and television shows as well as stage appearances. He made his Broadway debut in 1947 in A Streetcar Named Desire. In addition to numerous stage performances, he had credits on 127 television shows, most memorably as the villain who blew up Walnut Grove in the finale to Little House on the Prairie, as well as roles in 73 feature films, including The China Syndrome, Wall Street, Poltergeist, All the President’s Men and Return of the Living Dead. His final credits were for two documentaries about Buster Keaton, the award-winning Peter Bogdanovich film The Great Buster: A Celebration and the upcoming Buster Keaton: Home. James Karen was born Jacob Karnofsky in Wilkes-Barre, Pennsylvania, on Nov. 28, 1923. One of his earliest recollections was taking his Russian immigrant father to see silent movies, where Karen would read the titles for him. Upon hearing the news, former Keaton Society vice president Dr. Tracey Goessel, a good friend of the Karens, was reminded that when Buster’s widow, Eleanor Keaton, was going through chemotherapy in 1998, Jim Karen often took her to chemo sessions and to buy groceries. “Many offered to help; Jim actually stepped up to the plate,” she said. One of Karen’s final public appearances was at a Keaton Society event held at the Hollywood Heritage Society to celebrate the installation the following day of a plaque honoring his mentor, Buster Keaton, in June of this year. James Karen’s close friend and fellow longtime Damfino Leonard Maltin has published a remarkable tribute HERE. For more information about his life and career as printed in the Hollywood Reporter click HERE. And for more from The Citizen’s Voice, click HERE.